Welcome to my website. 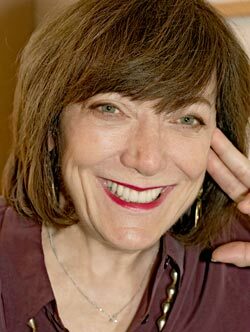 Here you will find information about me and the work I do as a licensed psychologist-psychoanalyst. You could say that I serve as a guide or companion for the journey you may decide to undertake, to discover dimensions of yourself you haven’t known to this point in your life You will be able to apply the results of that discovery to your everyday interactions and relationships, to achieve what I hope will be greater self-awareness, understanding of yourself and important others in your day-to-day life, and greater satisfaction in your personal and professional roles. My aim is to help you find the resources in yourself with which to build a satisfying life that includes moving toward the goals you have in the personal and professional arenas of your life, to achieve your true potential and lead a life that is worth celebrating. While we can’t change the past, we can learn from it, and work together to better understand and resolve challenges in your life. By applying the self-awareness you will gain in our work together, we will unearth long-standing behavior patterns or negative perceptions that may be holding you back from experiencing a more fulfilling and meaningful life. If you’re looking for extra support and guidance through a challenging situation or you’re just ready to move in a new direction in your life, I look forward to working with you to achieve your goals. Please feel free to call or email me for an individual, couples, group or family therapy consultation. You may reach me by email at: info@drninathomas.com, or by phone at my New York office: 212 877-7282 or at my Morristown, NJ office: 973 540-9894. If you choose to contact me via email please do not include any information that you would want to remain confidential. Contacting me does not constitute a patient-doctor relationship. Such a relationship exists solely on the basis of an in-person consultation in which we can assess how well we may work together. 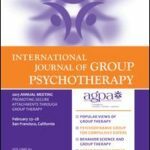 My article in the International Journal of Group Psychotherapy, "There’s Always a Villain to Punish: Group Processes Contributing to Violence and Its Remediation," was selected by the AGPA and the journal's Editors as the featured article on the publisher's website. See it here.